A selection of the world’s best sailors has assembled at Melbourne’s Royal Brighton Yacht Club this week to contest the 2018 edition of Sail Melbourne International (SMI) starting tomorrow, Thursday, 13 December 2018. 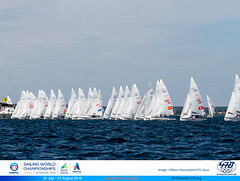 NOTICE OF RACE FOR 2019 470 EUROPEAN CHAMPIONSHIP IS PUBLISHED! Notice of Race for 2019 470 class Open Europeans is now published! The last day of Imperia Winter Regatta saw no races due to a strong storm that hit the coast with waves over 3 meters. 470 sail number FRA 27 belonging to the current 470 Mens World Champions, Kevin PEPONNET & Jeremie MION, will be on show at the NAUTIC exhibition in Paris from Saturday 8th to Sunday 16th December. 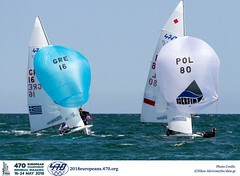 The International 470 Class is delighted to return to Enoshima, Japan for the 2019 470 World Championships from 2-9 August 2019. After the recent decision of 470 sailors Zegers & Van Veen to end their cooperation, the Watersportverbond is now making a new start with 2 new 470 teams: Anneloes van Veen continues with Mandy Mulder. 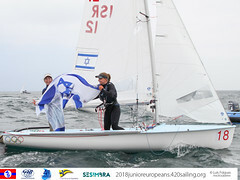 Afrodite Zegers enters the boat with Lobke Berkhout.